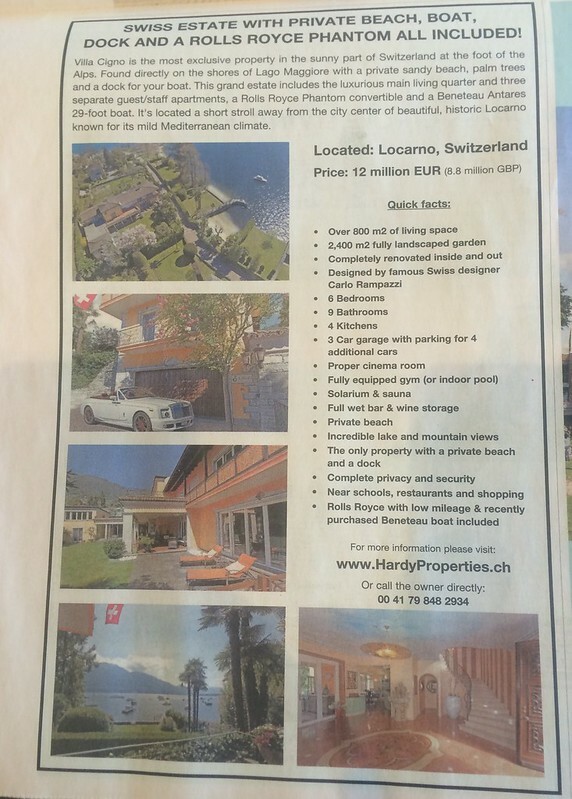 Fancy a Swiss villa? With private beach? A private dock with boat? And a low mileage Rolls-Royce Phantom Drophead too? For EUR 12 million you get the villa, private beach, car, boat and a whole lot more!